10 years ago this May, Flight KQ507 took off from Douala International Airport. It crashed 93 seconds later. Shortly after midnight on 5th May 2007, a Kenya Airways Boeing 737-800 took off from Runway 12 in Douala, Cameroon. The regional flight had been delayed by an hour of heavy rain and thunderstorms. Now, finally, it taxied onto Douala airport’s 2.85km runway and took off. Less than 2 minutes later, it came hurtling down. Flight 507 was supposed to be a routine flight. It served one of Kenya Airways’ most lucrative routes, the Abidjan-Douala-Nairobi route. 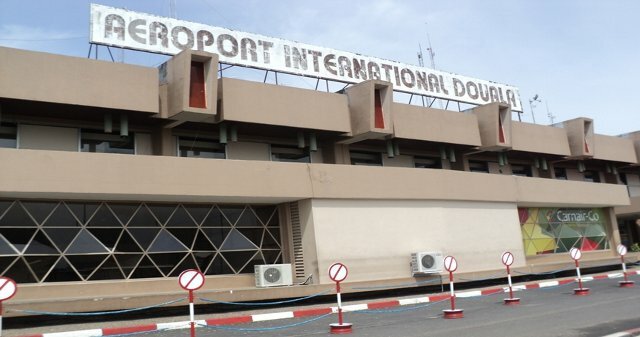 The aircraft had taken off from Abidjan without a hitch, landing in Douala 10pm on May 4th for a brief stopover that ended up being two hours instead of one. In the cockpit, Captain Francis Mbatia and First Officer Andrew Kiuru waited patiently for nature to abate so they could take off for Nairobi. The sequence of events that eventually brought the Boeing down begun almost as soon as the plane left the ground. Some initial reports said the pilot had taken off into the dark skies without clearance from air traffic control. Later reports seem to dispute this, but as soon as it left Runway 12, Flight 507 was doomed. The weather, the final investigation report, was never a factor in its crashing. As a team, the two pilots were terribly mismatched. Captain Mbatia, at 52, had logged 8,500 hours on jetliners. Most of that experience had been under Kenya Airways, where he had worked since 1986. His first officer, Kiuru, was only 23. He had 831 hours of flight time in his logs, with only 57 of them on the Boeing 737-800 and 113 hours on a previous model. Experience alone shouldn’t have been an issue, but a previous review had shown both of them had critical weakness in piloting which would play out that night. Despite these differences and weaknesses, Captain Mbatia and his first officer were good pilots in a new plane in perfect working condition. So why did it fall from the sky? At 1000 feet, the pilot called “OK, Command!” and released the controls. The call should have triggered the co-pilot to engage autopilot and then verbally confirm. He never did. Or he did. The plane had had a recurring malfunction at least thrice in its short life. If the co-pilot tried to engage autopilot while the pilot moved the manual controls, it wouldn’t engage. Still, the interference from the control column would not have given false feedback that the plane had engaged autopilot when it hadn’t. For such a critical stage in the flight process, noticing such an anomaly was critical. None of the two men flying the plane noticed. In fact, for an entire 55 seconds, neither of them noticed that no one was flying the plane. With no one in command, the plane began to turn right, from about 11 degrees when the pilot first made the autopilot call. This increased to 34 degrees over the next 40 seconds. 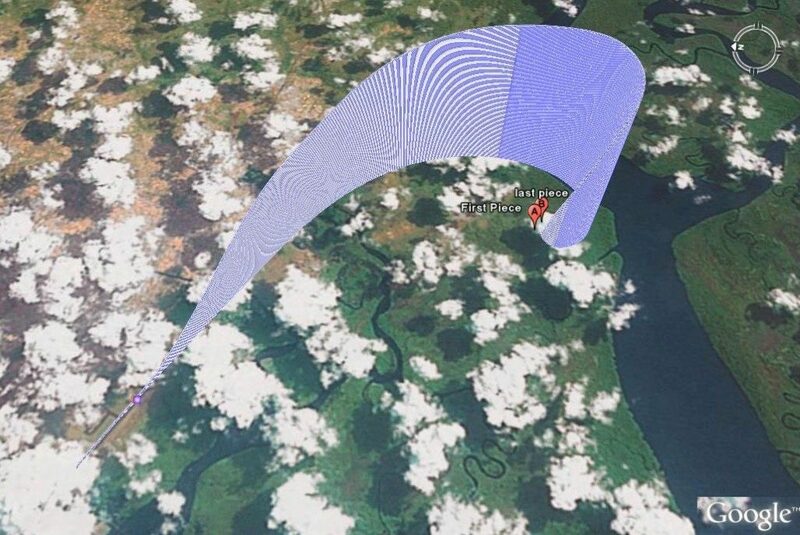 That was when the bank angle warning sounded, warning the pilot that the plane was turning too far to the right. In flying, a banking turn is used to change direction; a bank angle warning sounds if it turns to one side too much, because the force of gravity on the plane increases as it turns. The bank angle sounds because of spatial differentiation, a concept in space transportation. Pilots and mariners experience it because it is impossible to tell distance and direction without reference points. If you are a passenger, you can tell the plane is turning if you can see the wings, for example, because they serve as a reference point. But for a pilot flying the plane at night, there’s only nothingness in front. On a rainy and stormy night such as the morning of May 5th, 2007, it was impossible to tell without instrumentation. Both men in the cockpit had reviews indicating they didn’t use their instrumentation properly; and that night, both of them didn’t. In fact, until the audible bank angle warning sounded, none of them noticed just how far and how fast the plane was turning itself right. Or that no one, not even the computer’s system, had been flying the plane for nearly a minute. But what happened next made the situation worse. Startled by the bank angle alarm, Captain Mbatia turned the control yoke right, further worsening the problem. He reacted without first checking the instruments to know what correction was necessary. Then he engaged the autopilot, which would give the plane’s expensive computers control of the plane to correct the situation. For it to work though, he needed to stop moving the controls. Just 5 seconds after he engaged autopilot, he moved them again. First right, then left, and then right again. At 7 minutes and 28 seconds past midnight, the Captain announced “We are crashing!” The plane was at a bank angle of 55 degrees to the right, and increasingly rapidly. This was bad enough, but it’s not even the only reason why the plane came hurtling down from the sky a few seconds later. The two pilots were actually working against each other. As the pilot turned the control yoke right, the co-pilot turned his in the other direction. One of them was correcting the situation while the other was worsening it. It was so bad, actually, that at some point the co-pilot told the pilot to turn right, which he did. Then he realized his mistake and told him to turn left, which he did. Teamwork to get out a dicey situation was at a minimal here, and the plane’s turn was now nearly irredeemable. In a moment, it would enter into a graveyard spiral. The bank angle increased to 80 degrees less than 2 seconds later, and eventually to 115 degrees at 2,900 feet. At that angle gravity simply took over and the plane went into a nosedive, hurtling towards the Douala marshland below. The pilot radioed the control tower “We are in trouble.” A few seconds later, it crashed and submerged into the swamp. Flight KQ507 had been in flight for just a little over a minute and a half. Flight profile of the last flight of Flight 507. As the plane crashed into the marshland below, it simply disappeared on the air traffic control display. Another airborne plane picked up its emergency transponder momentarily, before even that went off as the plane hit the ground. It was 5.42 kilometers from the edge of the runway, but in the rainy, gloomy weather, no one saw it fall. For anyone in the vicinity of the crash site, the sound of the massive plane hitting the ground sounded like a particularly loud thunderstorm. Rescuers first started searching for it further than it actually was because its emergency transponder had sent a signal that it had flown much further. Although it was on the airport’s flight path, nobody could see it from above because of the thick mangrove. An entire day and 16 hours after it crashed, a hunter found the partially submerged wreck in the swamp. The black box was found on May 8th, and it would be another two years before a full investigation report was finally released. There is an old saying among pilots that they earn so much not for the many times they fly without incidence, but for the few they do. Flying is complex because it requires not just absolute knowledge of procedure but also instinct, experience, and updated working information. By all measures, the balance of knowledge and experience in the cockpit in the Flight KQ507 was more than sufficient. They were flying an impeccable plane for a 30-year-old airline which had only had one previous fatal crash. In the first decade after the first Boeing 737-800 entered service in 1998, more than 1,000 were made. They were designed for short and medium-haul flights. A shiny new version of this turbofan-power narrow-body commercial plane costs anywhere from $70 million to $100 million, although each purchase comes with its own terms and deals. 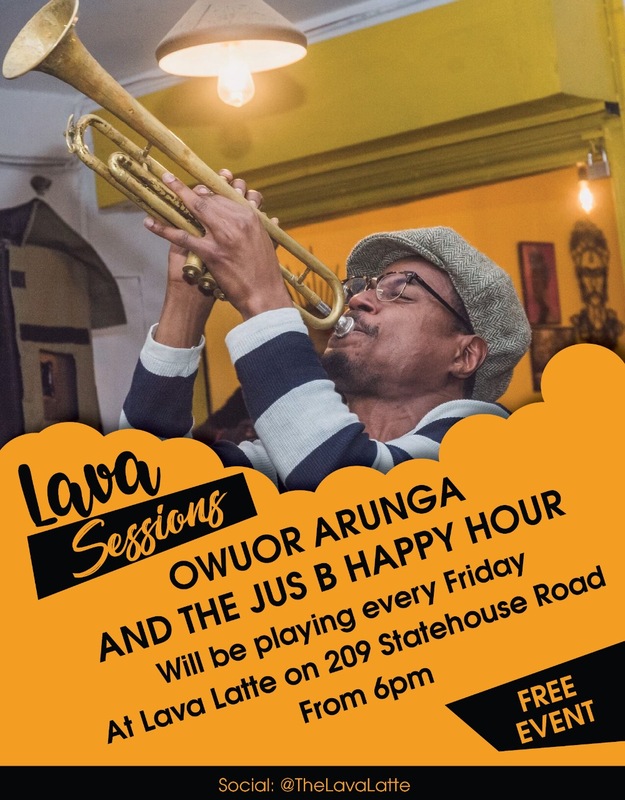 Kenya Airways ordered nine of them under a new ambitious expansion project called “Project Mawingu.” Some airlines, such as low-cost carrier Ryanair, flocked their entire fleet at the time exclusively of them. Each could carry 162 passengers in a two-class layout. The plane belonged to the Boeing 737 family, the most popular commercial airliner ever built. In the last five decades, the single aisle plane has become a favorite for airlines, with more than 6, 600 of them being built by February 2011. By 2006, a 737 somewhere in the world took off or landed every five seconds. In the time it has taken you to the last two sentences, one has already taken off. The one that was now hurtling towards the Cameroonian swampland was only seven months old. 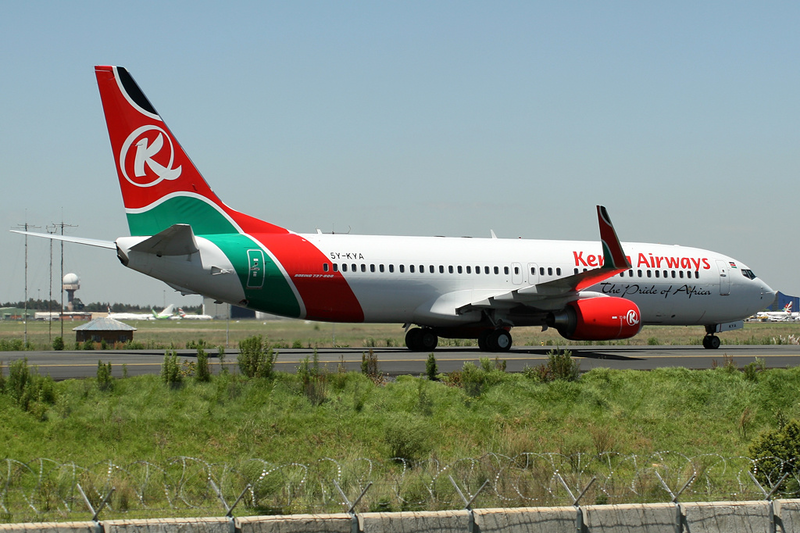 It had first flown on 9th October 2006 and was delivered to its new owner, Kenya Airways, 18 days later. Up until it took off from Douala, it had only flown for 2100 hours in 734 cycles. All its systems and instruments, as well as mechanical parts, were working. The ill-fated plane, seen here a few months earlier at OR Tambo International AIrport. The Boeing 737-800 had a near-perfect record. The only other previous crash of the model, that of a Brazilian airliner in September 2006, was not the fault of the plane or the pilot. The plane collided midair with a new Embraer Legacy 600 on its way from the factory to its new owner. The cause of the collision was a chain of improbable events and mistakes; so improbable that it was likened to two arrows meeting midair. In Flight 507, the initial banking to the right after the failed opportunity to engage autopilot was a problem with the Boeing. Left to its own devices, the plane would turn to the right, for some reason, but that could easily be corrected. Although the banking problem had been omitted from the plane’s training manual, its pilot that night had enough experience to expect it. He had previously flown a Boeing 737-700 for 665 hours, a Boeing 737-800 for 158 hours. But in spatial disorientation, instrument reading is the difference between life and death. From takeoff, Flight KQ507 was doomed because a correctable error would be escalated by human flaws. 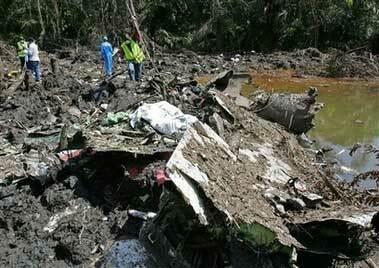 Only two planes had ever crashed from the airspace around Douala International Airport before that morning. One had crashed shortly after takeoff, and the second as it tried to land. The first, which crashed in March 1962, was a Caledonian Airways flight heading to Lisbon, Portugal. It failed to achieve lift off, deviated from its flight path and never switched on its landing lights. It crashed in an area of the swamp below so remote that rescuers had to swim through a nearby creek to get to it. That took 6 hours. The second flight, Cameroon Airways Flight 3701, crashed on 3rd December 1995. The landing gear failed to lower on the first approach, and during the second approach the pilots didn’t notice that one engine had lost power. The other was still in high power, sending the airplane into a steep dive. It crashed 6kms short of the runway, in the swamp, killing all but 5 of its passengers. In Flight KQ 507 that rainy May morning, human errors within the span of a minute and 43 seconds would add to this tragic list. Many of the piloting errors that Captain Mbatia and his First Officer made that morning could have been handled much earlier. A review of Captain Mbatia’s performance in 2001 had found him to be a sufficiently good pilot but for poor situational awareness and poor cockpit scanning, both of which would occur on May 5th 2007. It had also added that he was “overbearing…authoritative and domineering…which sometimes manifests itself as excessive confidence.” Perhaps this explains why his first officer was intimidated and did not call out his obvious mistakes in flying. A previous review of the co-pilot had also noted poor situational awareness. He had also displayed, according to his examiner “a failure to closely monitor and call out deviations in pilot flying, to monitor the autopilot when it is engaged.” He would repeat all these mistakes on the final flight. From the blackbox, it was clear he was reading them right but not communicating them properly. He also hadn’t noticed that they hadn’t engaged autopilot for an entire minute, which was the problem that had started it all. The many human errors that brought Flight KQ507 down that morning, killing all its 108 passengers and 6 crew members, could have been avoided. All crew were Kenyan while the passengers originated from 21 different countries. They included the CEO and CFO of MTN Cameroon, a well-known Associated Press journalist and the President of African Union for the Blind. Many of the compensation suits that followed the crashing of Flight 507 were settled out of court.